The Milwaukee Brewers have announced that Barrel Man is returning to the team’s mascot lineup. The Milwaukee Brewers announced out that Barrel Man – who was the team’s mascot back in the 1940s and 1950s – is returning to the Major League Baseball team’s mascot lineup this season. Don’t worry, Bernie Brewer is still the team’s official mascot. And, the Famous Racing Sausages aren’t going anywhere either. 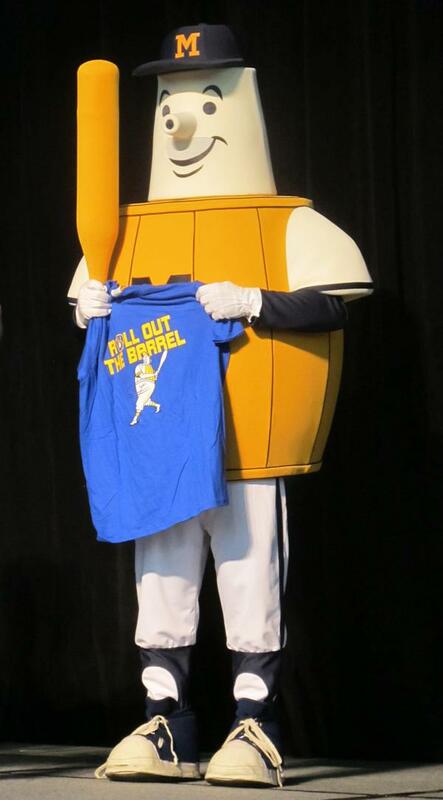 The Barrel Man is being added to the Brewers mascot bullpen.